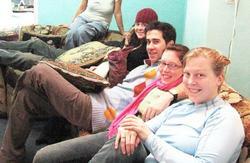 Top Guesthouse, on Tourist Street, combines the best accommodations with a great location in the heart of the city. The property provides you with a clean, comfortable, friendly atmosphere and safe environment to our fellow travelers in Ulaanbaatar where you can feel like at home! We have dorm and double rooms. We great experienced team in tourism sector of Mongolia since 2000, offer you an enjoyable and unforgettable trip in Mongolia. We will help you explore our rich history, beautiful nature and the traditional hospitality of the nomadic life on one of the most amazing holiday experience you will ever have. A number of interesting adventure tours to the boundless vast steppes of Great Chinggis Khaan; alpine region bordering the forests of Siberia; Crystal watered Lake Huvsgul; Asiaâ€™s most beautiful and unspoiled wilderness where the snow-capped Altai Mountains; home of dinosaurs-Gobi desert, the ancient capital of Great Mongol Empire; and customs of nomadic life are waiting for you. 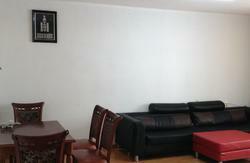 Building 35-10 apartment, /Door code:467/ Tourist Street, Khoroo 1, Chingeltei district, Ulaanbaatar city, Mongolia. We offer FREE pick up from the train station so just let us know your arrival time and train number. We also can pick you up from the airport at a low fare. Arriving by plane: catch bus # 11 (500 Tugrug), by taxi ( 20000 Tugrug).But we do have a safety pick up service from airport and it costs $22 (30000 Tugrug) each way.